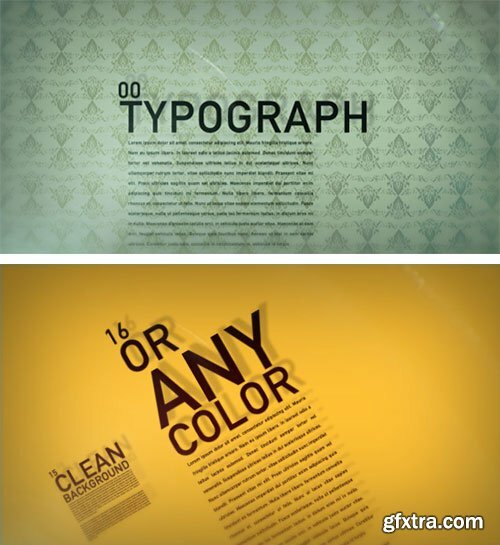 A dynamic and versatile typographic After Effects project. 1:05 min of After Effects CS3 ( or above version ) animation in Full HD ( 1920 X 1080 px ). 22 placeholders for your texts. No additional Plugins needed. Flares are made with the VideoCopilot Optical Flares plugin, however the file comes with pre rendered version and original plugin version, if you need. Instructions to download font are be avaiable in help file.